Sometimes finding a small touring bike is hard work. I know because I fall on the other end of the spectrum; I’m always looking for a bike big enough! Many smaller/bigger cyclists look to custom built frames to get what they’re after, but this list will allow you to find a bike that will fit without going down the costly and time consuming path of getting a bike built for you. Please let us know if you’re aware of other bike manufacturers who make small bikes. 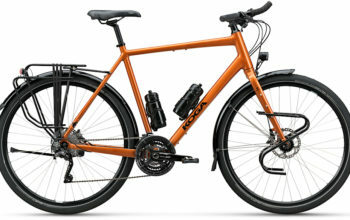 I’ve also put together a list of every ladies step-through touring bike available for those requiring additional frame stand over. 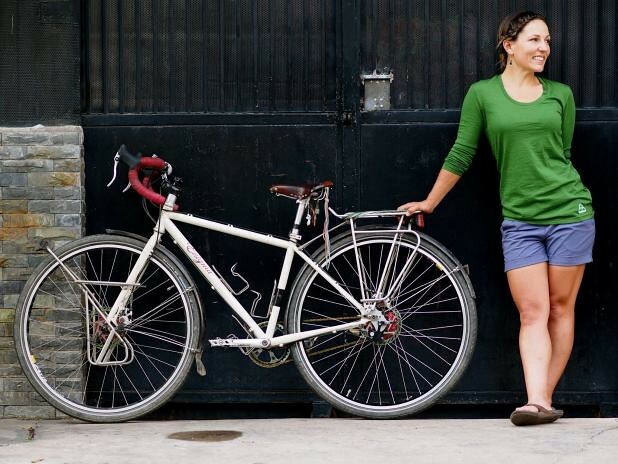 Holly from Nowhere2far with her small Enigma touring bike. Although you will find bikes with what manufacturers tout as small sizes, not all bikes measure up. Just take a look below, some “48cm” frames can actually be smaller than other “42cm” frames! If you’ve got long legs for your height, you’re going to need to take a close look at the stack figures. 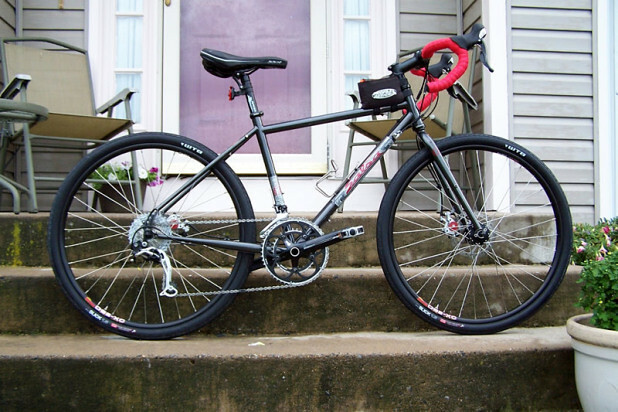 With a high seatpost, you’ll most likely need a tall front end to match. You’ll notice that many of the smallest stock bikes around use 26″ wheels. 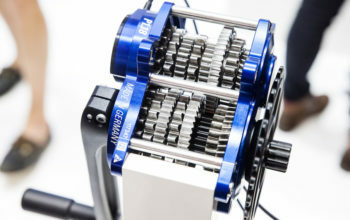 These wheels are more proportionate to smaller frames compared to 700c and offer the advantages of less toe-overlap and greater frame standover. To put it simply, they make sense on a small touring bike. You can read our article on wheel size HERE. The bikes with longer ‘reach’ numbers are designed for use with a flat handlebar. 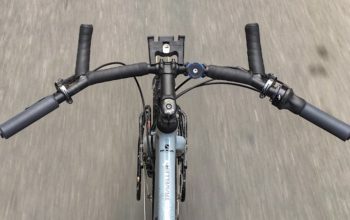 Flat handlebars reduce how far you have to stretch out compared to a road handlebar, so you will need to go up a frame size if you would like flat bars. This also means that if you did a flat bar conversion to any of the bikes with road handlebars, you would get an even smaller bike! You can read more on bicycle touring handlebars HERE. 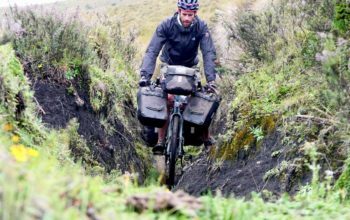 The 50cm Salsa Vaya is one of the smallest touring bikes available. 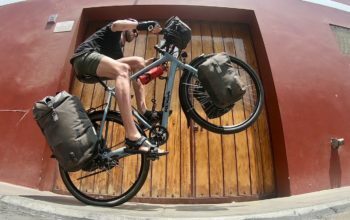 These are the smallest touring bikes from manufacturers who had sufficient frame data on their website. 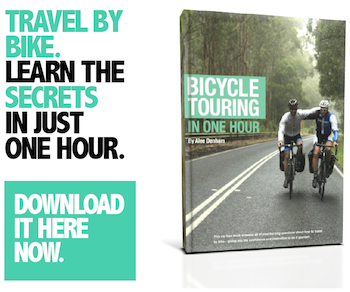 Do you know someone who finds it hard getting touring bikes big enough? 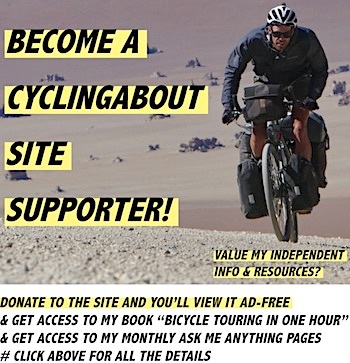 Send them to our big bike resource!